All insurance companies are legally bound to act in good faith when it comes to their clients. As the clients pay for the insurance in an event that something might happen, they expect protection from the insurance company. This will be as per the contract signed. Some companies pay less than what was claimed while others don’t pay at all. We have several cases whereby the insurance companies don’t cover the claims raised by their clients. The most common cases are accidents at the workplace, personal injury, premises liability and car accidents. The company might decide to deny claims if they believe the client cause damage or the claim wasn’t presented in time. There has been even cases whereby the insurance adjuster claims that the marital status of the victim doesn’t require the company to pay! Whichever the case, the insurance company will find a way to insert some jumble of legal sounding phrases in the contract. These will be used against the client when raising a claim to cover the damages. Go through the policy and understand the benefits, what is covered and all exclusions that will not be covered. Ensure you understand everything in case of any hidden meaning or jargon words used. Better yet, have a lawyer look at the document so as not to miss anything. Why go through all this? When presenting your case, it will be better to have an understanding of everything that is covered in the policy. As the saying goes, forewarned is forearmed. It is important to know who to talk to incase the claim is denied. When this happens, have a contact person you can call at the insurance company to explain why it was denied. Note their names, contact details and designation in case of clarifications. If you need to appeal, go through the process with the representative or ask them to send you a written process on how to appeal. Insurance companies have a procedure on how the appeal process is carried out. Keep records for future reference as well as to provide evidence incase its needed. If you have an insurance cover from your place of employment, ask your employer to provide a letter explaining why the claim is valid. This might make the insurance company reverse its decision not to cover the damages. Every client has a right to file for appeal when the claim is denied. For example, if it was a medical claim denied due to incomplete or inaccurate records, get your doctor to clarify and correct before submission. Set all the paperwork and evidence needed for the appeal and submit them to the insurance company. Ensure that you keep a copy of the documents for yourself. These will act as proof in case the insurance company misplaces the other copy. The process might be complicated for a layman, so it’s always advantageous to involve a third party. This third party should be someone who is an expert in the field so as to ensure the process runs smoothly. Ensure the appeal process is within the dates set so as not to lose the case, so it’s important to find out whether there are any deadlines for appeal. 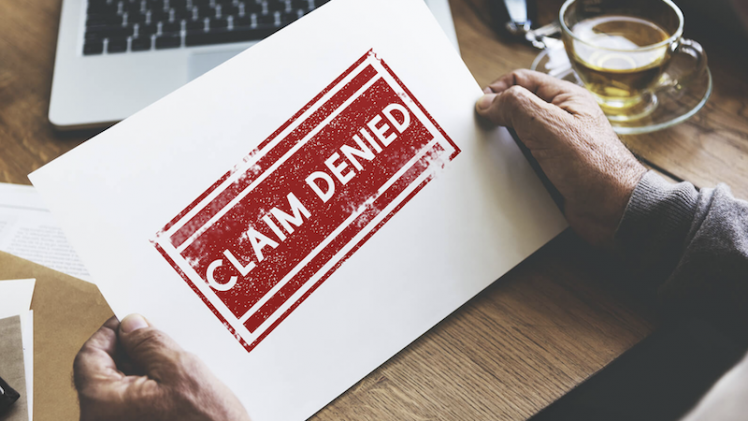 When you file an appeal to a denied claim, the insurance company gets an employee who wasn’t involved in the original decision to take a second look. This will be based on all the evidence and documentation provided in order to make an informed decision. Thereafter, they will give you a call or send a letter of the decision made. It it’s still not in your favor, there are still other options to follow. You can involve an independent third party who is not an employee of the insurance company to do their own review. The insurance companies are also supposed to be involved in this external review so that all parties are represented. You can even go as far as involving a lawyer to file a law suit if you believe the case is strong enough. Insurance companies will most likely shy away from hiring their own lawyer and litigating the case in court which they might lose and incur further expenses: the legal expenses. In case you have a denied claim, you will know what to look for next time to avoid history repeating itself. Play the insurance company at their own game and win. The insurance companies are counting on your ignorance to profit so don’t let this prevent you from getting your claim approved. Go through the policy and ask questions and clarifications where needed. As stated, the best way to avoid falling into their trap is by understanding the policy, which will go a long way into preventing all these issues. After all, prevention is better than cure.